Decorating your living space might seem like the easiest thing in the world, but it’s actually much harder than you think. Making sure every inch of your space receives equal attention and is taken care of could turn out to be a surprisingly hard and challenging process, especially when it comes to matching colours. This is a task you need to approach carefully, patiently and meticulously, and your home interior is going to be just perfect only if you show it the love it deserves. 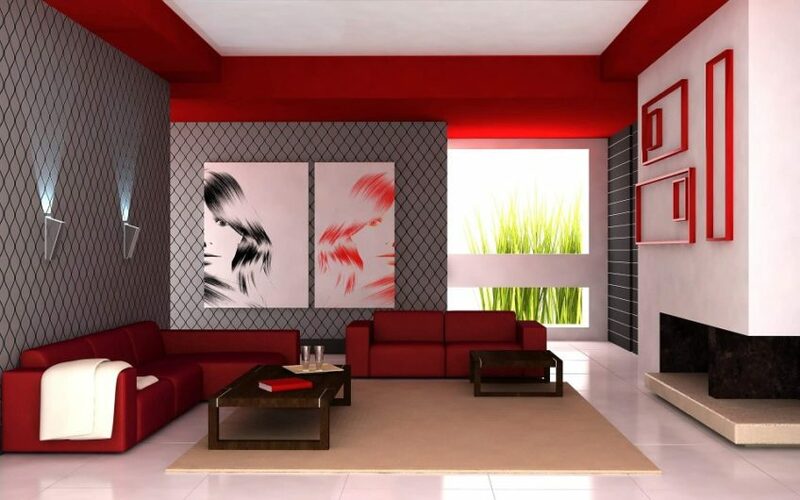 So, here’s how you too can achieve harmony when matching colours in your home. First, you need to determine what colour scheme you’re going to apply in your home and whether you’re going to change it from one room to the next, or use the same colours in all the rooms. Go with the colour you like the most, and then explore variations and similar choices that might help you reach the colour combination you were looking for, as well as enhance your primary colour. Most people have a problem doing this, so using the so-called 60-30-10 rule might help you a lot. This means that the main colour should feature in about 60% of your room design, the secondary colour in about 30%, and the remaining 10% should be covered with an accent colour, thus making sure all surfaces and corners are covered properly. The best way to start finding colours that will work well in your living space is by getting inspired by something that’s already in this space. This can something simple, such as a vase in your living room or a granite countertop in your kitchen – as long as it inspires you and helps you define the colour scheme, whatever you pick will do. Every material comes in different tones, patterns and textures, and all of these can be inspiring if you know where to look and what to use. The aforementioned granite countertop, for instance, will help you determine the colour of every other element of your kitchen, from the walls and the tiles to the cabinets and the appliances, so don’t be afraid to use these things when choosing your colour combination. Every space in your home includes a number of different surfaces that vary in size, texture, and colour, so coordinating them all is a must. Lots of people focus their attention on the walls as the most dominant and visually appealing surfaces in their homes and repaint them before introducing other elements in their rooms. This is an effective way to set the tone for your interior design and an easy and affordable way to accomplish quite a lot. For example, interior painting trends in Sydney show us that a professional paint job doesn’t have to be expensive or messy, and genuine expert can help you define the colour scheme in your home in no time. Colour coordinating every single aspect of your living space definitely is a challenging task, but it doesn’t have to be that way. Trying to make things simpler might do the trick and get you the effect you’re looking for, but without having to spend weeks fixing your colour scheme. Focus on a handful of objects – pillows, sofas, backsplash tiles, and rugs, among others – and work towards coordinating them, and everything else should fall into place after that. Making sure you have enough natural sunlight in your home is a must, not just for your mental and physical health, but for your décor as well. Even the best colour combinations can seem horrible if the lighting in your home is inappropriate, so do whatever you can to brighten up your living space. This way, all your surfaces will become more vibrant and visually appealing, and you’ll achieve the perfect colour scheme more easily than in rooms that are dark and dingy. Matching colours in your interior space isn’t always easy, and you need to invest your time and energy into achieving the perfect colour scheme, but, unless you do so, you’ll just end up living in an uninspired space that lacks character and doesn’t work for you.